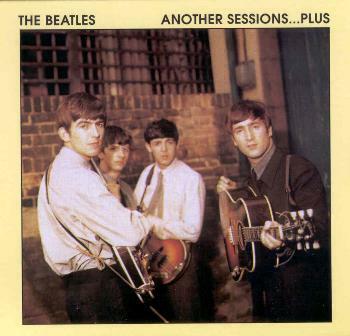 Sessions has been one of the most popular titles amongst Beatles collectors since its non-issue by EMI in 1985. Thanks to the recent discovery of cassette dubs made by late Abbey Road engineer John Barrett, we are happy to present Another Sessions, which features alternate mixes and versions of the songs from that unreleased album, along with bonus tracks. It is a perfect companion piece to the new Turn Me On Dead Man: The John Barrett Tapes. Commentary from a friend: The original Sessions boot was a copy of the rejected production master, compiled by Beatles engineer Geoff Emerick. It was / is a popular boot with Beatards - at least until Anthology finally came out. When the recent cache of Barrett tapes was discovered, it was found that the actual, original mixes for those tracks were far superior to the Emerick mixes. 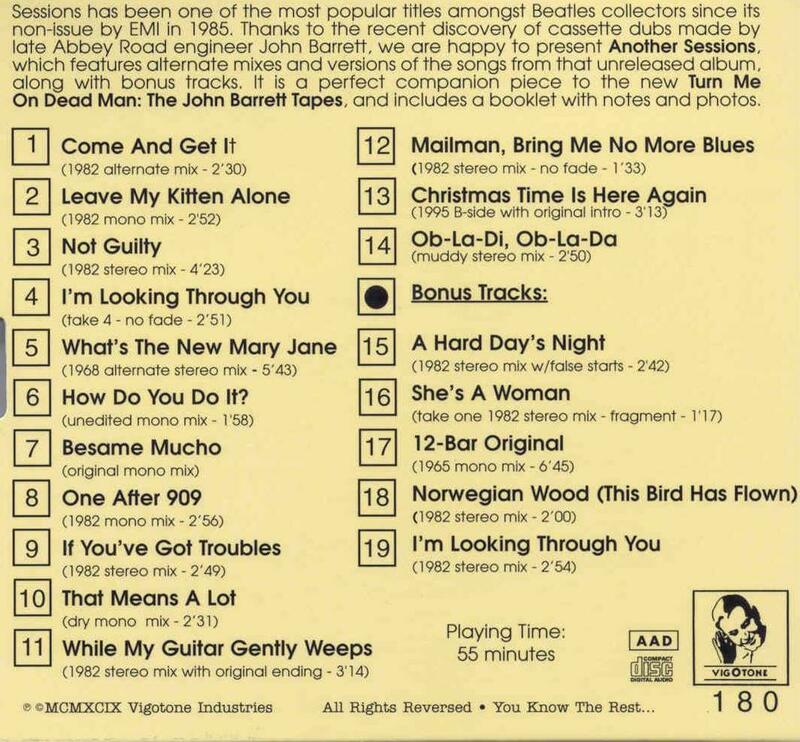 So the good folk at Vigotone re-assembled Sessions, using, for the most part, mixes found in Barrett's collection. These are really much better ... it's a boot you'd actually put on just for general entertainment! Even if you have Anthology, these takes are much better. "Come and Get It" is now in clean stereo, and speed corrected. "Not Guilty" is finally in the correct form (Emerick re-edited it for some reason). "While My Guitar..." was butchered on Anthology - bad stereo and a totally unnecessary edit of the ending to create some silly fade-out. Here, it's in it's original, clean, and unedited form, as George recorded it. And on and on. "Ob-La-Di" is the only bummer, don't know why it is here.